….But can it eloquently dispense Change? History has witnessed FOUR Marshal Laws in Pakistan. Pakistanis are well aware, what happens when their politicians get too naughty to handle! But, state of affairs have taken a new course lately never seen before in the history of Pakistan. 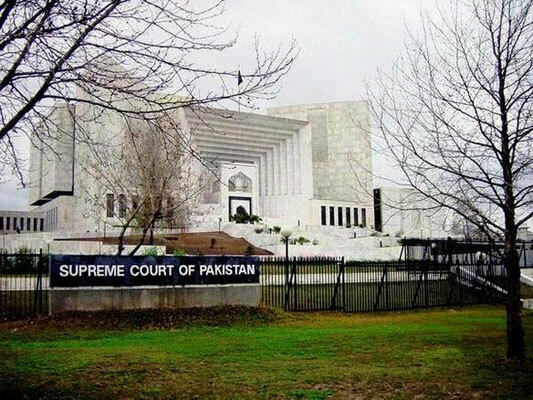 NRO scam, Swiss scandal, row over 18th amendment, clash between judiciary and presidency, but eccentrically resilient higher judiciary in the absence of substantial military intrusion is new to this part of the world. Therefore, consequence is unseen. Rumors about “investing” in judiciary have been around for a while with scams of Nawaz bribing judges and “Dr” Awan buying off lawyers. It seems the buzz has taken a practical course now! As a significant verdict of Supreme Court concerning NRO is approaching, it appears all the parties are playing their cards in the best of their interests! All options come to a dead-end. Only possible change is through judiciary now. Nevertheless, the recent tussle between judges and lawyers undermine its impression as a responsible institute. Chief Justice restored by the people after a worldly acknowledged campaign against two consecutive governments, though many do not admire, but now carries a huge responsibility on his shoulders. Moreover, even though he himself is an ex-PCO judge, but will now have to live up to the expectations of people, defending his oath and maintaining sacredness of his office. NRO ball & 18th amendment is now in his hands, which will undeniably change the pattern of future politics in Pakistan towards a positive side. Otherwise, only bringing about in-house change without tackling the “supreme commander” and other NRO beneficiaries will yield absolutely no change. While in this post-Musharraf era, GHQ has resolutely distanced itself from political endeavors, striving to regain the pride army enjoys in Pakistan and is quite successful in achieving that so far. GHQ has limited itself to war on terror, and now flood rehab, with no direct political involvement whatsoever. 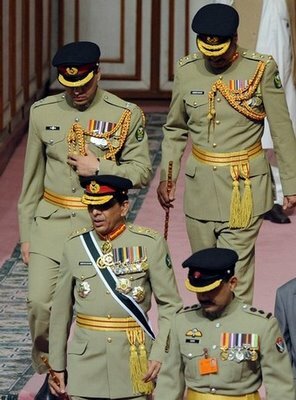 In addition, the COAS enjoys the repo of being “pro-democratic”. In this vacuum and realizing the new powers of judiciary, SC has become the new battleground between lame, immature politicians and judges. Only difference is, as compared to generals and military; the lawyers, and judges enjoy a far more corrupt reputation. Considering the recent bar-bench brawl, question is will the course of events be in favor of the country or judges? Army being the only established institute in Pakistan had to intervene, unconstitutionally though, in times of crisis. Judiciary being one of the most corrupt institutes has the exceptional opportunity to intervene constitutionally, in the times of crisis. Will the judiciary be able to dispense soberly what GHQ has been delivering for decades – A change?? No one has the answer yet, but the answer lies with judiciary! Fingers crossed! Hi, possibly i’m being a bit off topic here, but I was browsing your website and it looks stimulating. I am creating a weblog and attempting to make it appear neat, but everytime I touch it I mess some thing up. Did you design the weblog yourself? Could someone with small experience do it, and add updates without messing it up? Anyways, good information on here, extremely informative. Keep up the superb function, I read couple of posts on this web site and I think that your internet weblog is very fascinating and has tons of fantastic info.